So this is supposed to be spring eh ? Gloomy sky and cold miserable morning. Brrrrrr..... Yup! Sounds about right. Typical British weather. Just when I thought I have finally see the back of those long wintry nights, along came the disappointing summer just to 'cheer' me up and make me yearn for warm summer days (if there's ever going to be one). After a brief false sense of disillusion that hot weather is finally upon us, grey sky once again rules the world. 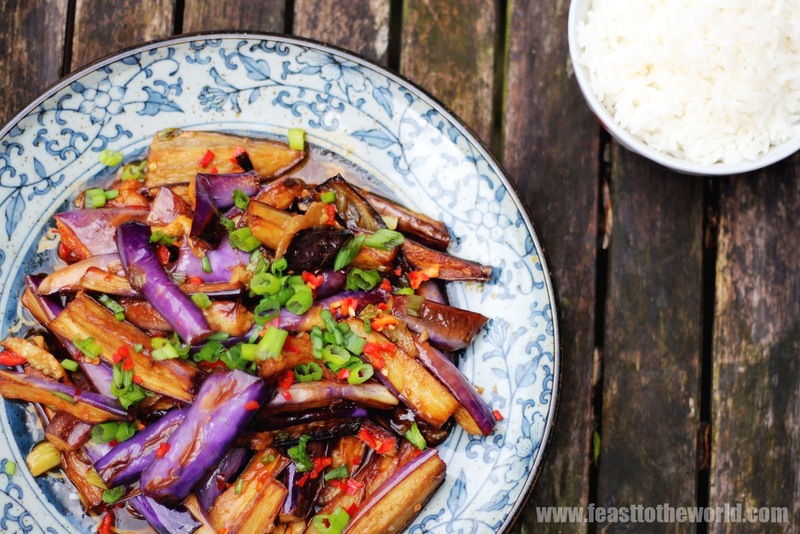 Time then, for a spot of comfort meal in the form of fish fragrant aubergine, or in this case, brinjal - the slimmer cousin. One of the most well known Szechuan dishes. Quite possible as famous as the ubiquitous Kung Pao Chicken and without a doubt a firm favourite of mine. I'm a huge fan of brinjal/aubergine and dishes like Sambal Brinjal and Grilled Miso Aubergine (Nasu Miso Dengaku) frequently grace my dining table. Despite the name, there's no fish in the dish. Instead, the name derived from the flavourings traditionally associated with fish dishes. The aubergines are first fried untill tender before simmering in the sweet piquant sauce till it is silky smooth and absorbed all the wonderful and luscious flavours. 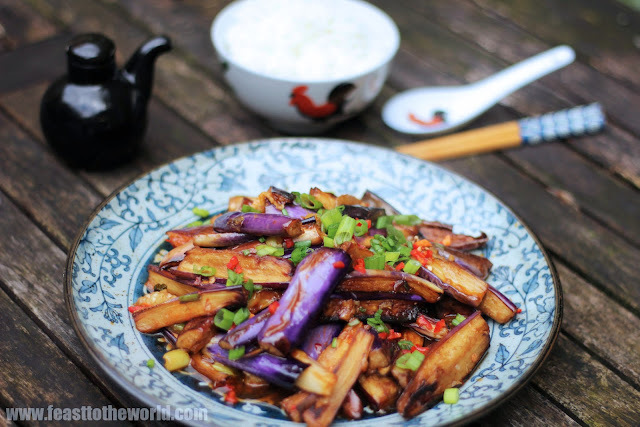 Frying aubergine might send shivers and sound alarm bells to your diet plan but it is not really that scary. There are a few pointers which can help to reduce their oil intake thereby producing a far healthier dish. Slender brinjals from Chinese supermarket are my choice of preference for this than its bulky western cousin. They have less water content which prevent them from absorbing too much oil when frying. 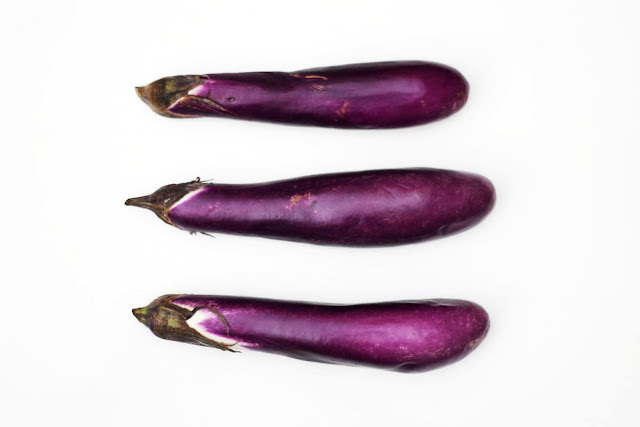 If using the round aubergine (eggplant), make sure these are first salted for at least 20-30 minutes after slicing. Then squeeze out any excess water, rinse and pat dry thoroughly before proceeding. Another trick is making sure the oil is very hot when frying and keep the temperature as constant as possible. Fry in batches rather than throwing them all in at once. 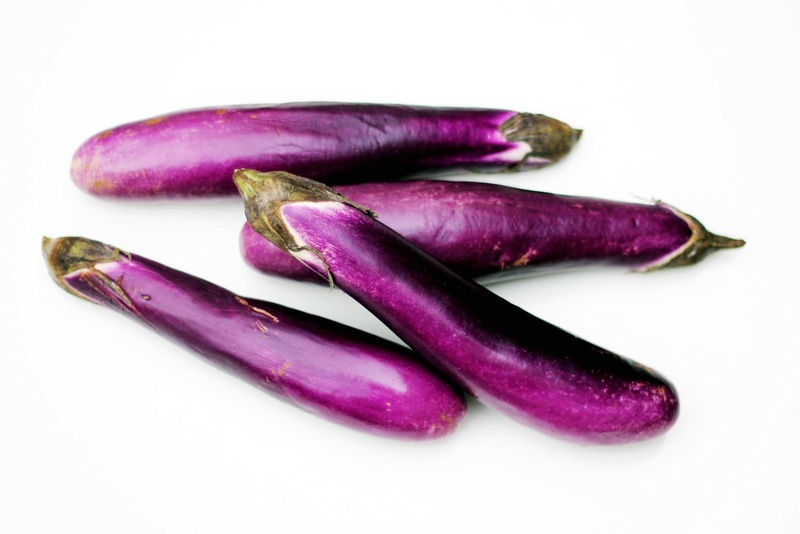 This will reduce the oil temperature drastically, causes the brinjal/aubergine to absorb more oil than it needs to. Follow these rules and you will never look back. No more greasy Fish fragrant brinjal or aubergine. 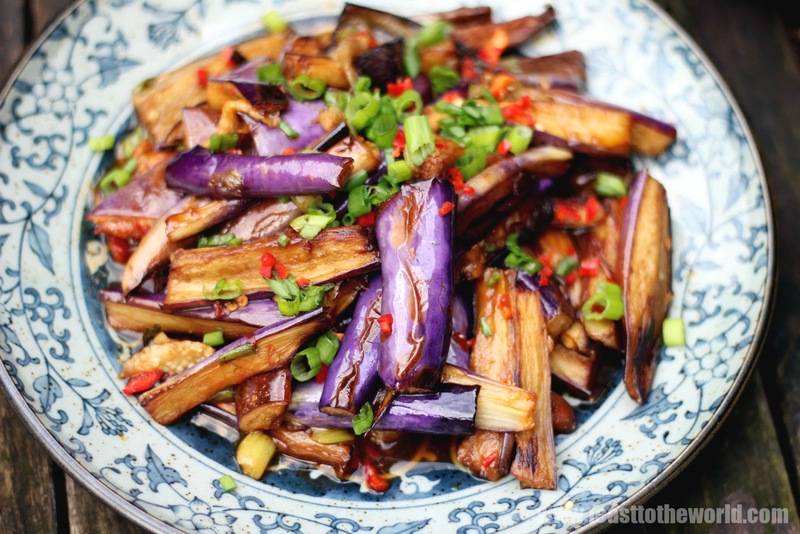 Cut the brinjal in half lengthwise and then quarters before cutting into 3-4cm lengths. If using aubergine, cut in half lengthwise, then cut into 2cm thickness long strip before cutting into 3-4cm lengths. Fill the wok with enough oil and heat to 180ºC. Test by dropping a small piece of stale bread, it should sizzle and browns in 30 seconds. 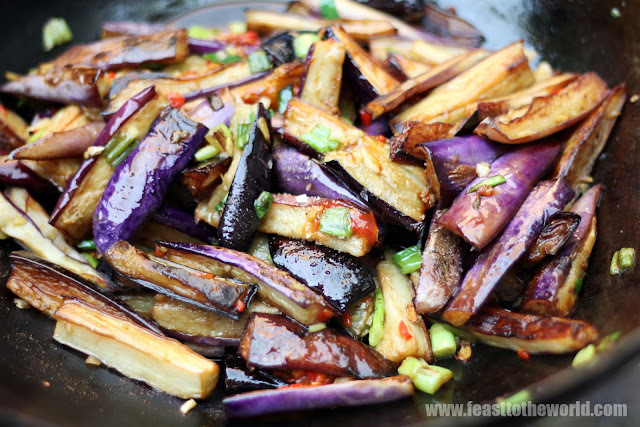 Fry the brinjal in batches, taking care not to overcrowd the wok, for 3-4 minutes, until golden brown and tender. Remove and drain on kitchen paper. Repeat with the rest of the brinjal. Pour away all but 2 tablespoons of oil and return the wok back to the heat. Turn up the heat to high and when smoking, add the garlic, ginger and stir-fry for 30 seconds, until fragrant. Add the chilli bean paste, rice wine, soy sauce and cook for another 30 seconds before returning the fried brinjal back into the wok. Turn down the heat and cook for 2-3 minutes, tossing lightly to coat thoroughly with the sauce. Take care not to break up the brinjal. Season with sugar and salt to taste. Pour in the cornflour mixture and stir gently to thicken the sauce. Remove from heat and add the vinegar and spring onion and toss to heat through in the residue heat. Stir in the sesame oil and scatter over the chopped red chillies. Serve immediately with steamed rice. This is also equally delicious served cold as an appetiser. This looks fantastic! Thank you for sharing!